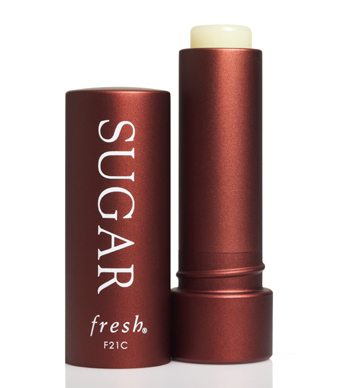 If you want to put something fun and save your lips from winter weather, try Sugar Lip Treatment by Fresh ($22.50 http://www.fresh.com). I got two samples and I am obsessed! My lips were cracked and in one day they were healed! I have the original formula and the Rose tint formula. They are basically jumbo sized chap sticks that are formulated to heal your lips and leave them with all their moisture. Sugar is natural way to prevent moisture loss…who knew??? They are also packed with SPF and leave your lips soft and supple for 6 hours! I love using the original formula under my lipsticks and the Rose Tint formula for when I use a gloss or don’t want to use any other color on my lips at all. I really recommend these for winter, they are a lip saver! ← Favorite Product For The New Year!